These 3-D Glasses let you watch 3-D movies and read 3-D comics without looking like a total idiot. 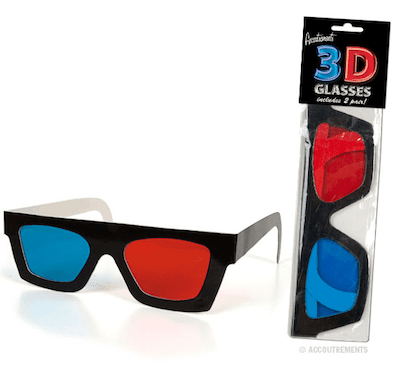 As a matter of fact, they are so stylish you might even consider wearing them all the time just in case something you encounter is meant to be viewed in 3-D. For anaglyph 3-D only. Two pair in each package.